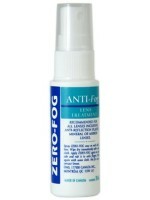 • Effectively cleans, prevents fog and repels dust on all lens types. 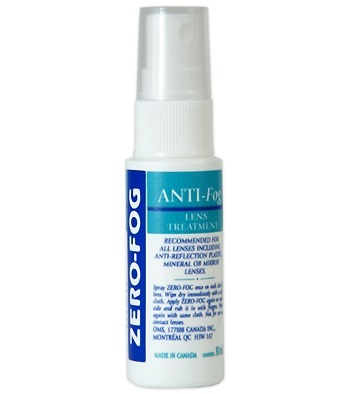 • USA FDA Clearance – safe to use on all surfaces. • Specially treated cloth cleans and prevents fogging. • Non-toxic. Contains no hazardous ingredients. 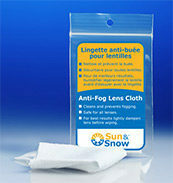 • Safe to use on all lens surfaces. 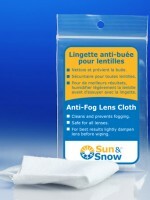 • Biodegradable and contains no hazardous ingredients. 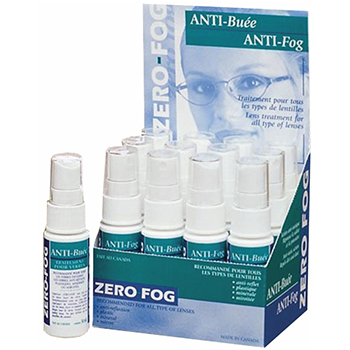 • There is no expiry date on this product. • Made in the Canada.